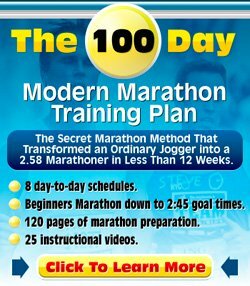 I have been reading Once a Runner and I understand it is fiction and all that, but is the idea of training to the point of and past the point of breaking down mentioned in the book a good actual method of training? When you are training for a big race and are aiming to improve yourself there is nothing wrong with tough training sessions. You need to push yourself in order to become faster. Push yourself too hard though and you can harm yourself. So, pushing yourself is great, but you need to be sensible about it. It's been so long since I have read the book, wasn't the guy in there running shorter distances predominantly, i.e. mile-distance? For runners competing in shorter distances like that there should be, at the right point in their running program, a lot of focus on tough interval sessions. And the serious long-distance runner will do a variety of tough long distance, tempo and interval sessions. When you are newer to the sport you stimulate your body enough by just adding mileage though. So, "breakdown" sessions help improve the performance of the (semi-)elite athlete, but they are for people who are in good health and they are not the best solution for everybody.